On January 23rd, more than 40 people were killed and some 850 were detained by government forces as Venezuelans took to the streets to show support for Juan Guaidó, the head of the Venezuelan legislature and self-proclaimed interim president of Venezuela. Last week, as the European Union prepared to join the United States, Europe and most of Latin America in recognizing Mr. Guaidó’s mandate, hundreds of thousands of Venezuelans once again took to the streets demanding that Maduro step down now. But in a country that is nearly three-fourths Catholic, one voice is notably missing from the chorus of support for a transition back to democracy in Caracas: that of Pope Francis, the former archbishop of Buenos Aires and the first Latin American born Pontiff. In Latin America, too, Church leaders have a long history of standing up to tyranny. In 1502, the Dominican friar Antonio de Montesinos addressed what might be considered the first “Latin American” human rights crisis when he charged representatives of the Spanish Crown in Santo Domingo with being in a state of mortal sin “by reason of the cruelty and tyranny” practiced on the natives. Returning to Spain, Montesinos continued his defense of the natives at the court of Charles I, setting the precedent for a Latin American Church that stands against tyranny. When Francis was elected as Pope in March of 2013, Latin America was in the midst of yet another period of political turmoil and Socialism of the 21st Century was the foundation of the governments of Argentina, Bolivia, Brazil, Ecuador, Nicaragua and Venezuela. One month after his first papal mass, Nicolás Maduro was elected to replace Hugo Chavez in Venezuela. The political and humanitarian crisis which Venezuela has consequently suffered should not be understated. Venezuela, once a regional powerhouse, can today be characterized by massive food shortages, collapsed internal infrastructure, widespread political imprisonment, ever rising homicide rates, and inflation that is projected to reach 10 million percent in 2019. Ultimately, it is easy to understand why more than 3 million Venezuelans have fled their country since 2015 and why thousands more continue to leave every day. To make matters worse, the Maduro regime is now refusing to allow humanitarian aid to enter the country. But while John Paul II, the Slav, stood in solidarity with the forces of change that challenged communism in his native Poland, Francis, the Latin American, has not joined the free world in recognizing Juan Guaidó, the 35-year-old interim president, standing instead with the likes of Russia, China, Cuba, and Turkey in continuing to recognize Maduro’s illegitimate mandate. Instead of standing with the overwhelming majority of Venezuelans that want their Bolivarian nightmare to end, Pope Francis has offered to facilitate mediation between Maduro and Guaidó if “both sides ask for it.” The Venezuelan Church has openly opposed this offer. 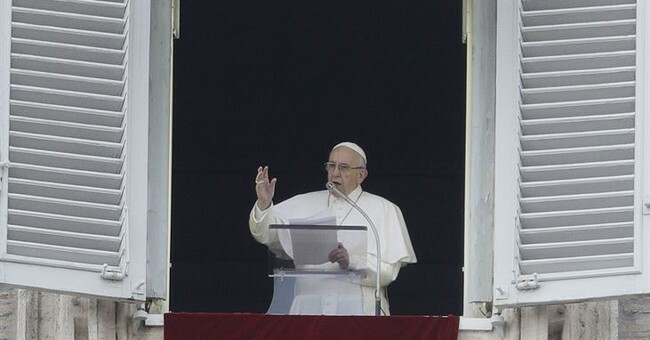 Today, more than ever, Latin America needs its first pope to serve as a voice in the wilderness, standing in solidarity with those suffering in Venezuela and calling for the respect of their lives and dignity. In Evangelii Gaudium, Francis wrote that, “each individual Christian and every community is called to be an instrument of God for the liberation and promotion of the poor… this demands that we be docile and attentive to the cry of the poor and to come to their aid.” Catholics around the world should pray that the Holy Father remembers those words and finally sides with the Venezuelan people in their struggle for freedom.